You will have to watch Pablo Larrain’s JACKIE multiple times to rethink and reanalyze the entire film thoroughly. 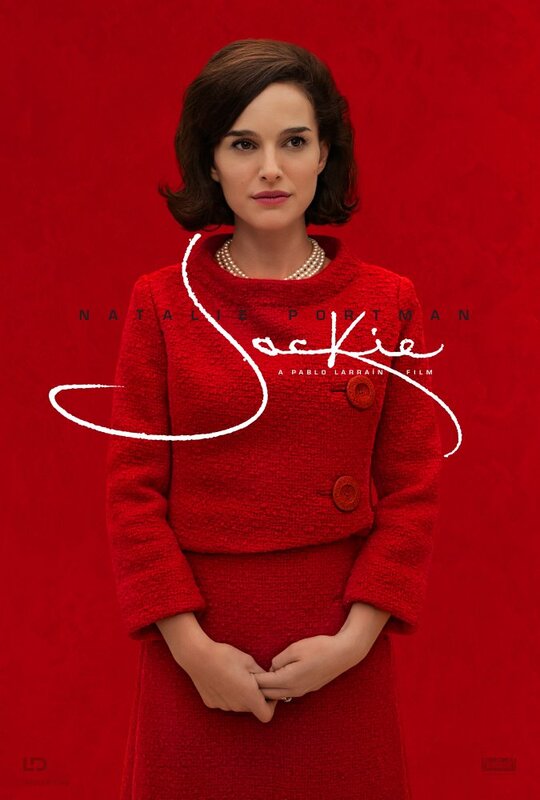 Whether it was the superb and refined performance delivered by Natalie Portman, or exquisite screenplay written by Noah Oppenheim, cinematography and faded colors of this truly stunning piece of art, JACKIE will deserve a special place in your heart and will make you appreciate and remember the day that changed the course of history in the most shocking way, forever. The mind-blowing black-and-white shot of how Jackie famously restores the white house is first what the audience is left to see. A carefully edited and a royal manner of still the First Lady is striking and impressive. As you watch Natalie Portman bringing Jackie back to life, it will appear as a great puzzle how one could have portrayed such a delicately directed scene in a way you would not be able to distinguish, whether it was just an act of master-class or a real thing? But it is Jacqueline Kennedy who Portman portrays, and that you could feel it throughout the movie, when the high regard and respect to the legendary woman paid could not get any better. When the journalist asks Jackie about her faith, she precisely answers, ‘I will discuss my faith with the priest’, and right after that another sequence of scenes appear where Jackie discusses her belief in God with the priest himself, and questions God’s existence. But when the journalist again asks another question about the sound of the bullet she heard when President Kennedy was assassinated, the powerful and dramatic scene presented will haunt you long after you see it, when Jackie still in complete shock has the Secret Service Agent Clint Hill covering her and her wounded husband with his own body is truly remarkable. However, as you watch Larrain’s movie, despite having Robert Kennedy (Peter Sarsgaard) around who tries to support Jackie or dictate the way the funeral need to be processed, it is and always was Jackie who was the main reason of the entire movie, where her presence, power, dignity and respect was above everything else. In conclusion, the way the iconic First Lady was captured by the incredibly talented Natalie Portman is undeniably beautiful imagery of one strong woman in whose shoes nobody would ever wanted to be on that particular day that changed her life entirely. Larrain brings the best part of Oppenheim’s screenplay by delivering every little detail he could, to make JACKIE the year’s most memorable and unique film so far. There is simply nothing to complain about; directorial approach, camera work, cinematography and costume design speak for themselves. But the true star of the movie is Natalie Portman who brings Jackie Kennedy with such strong and impossible to explain performance, that I am sure nobody ever can get closer to portray Jackie the way she did. And you, I would beg you, to trust me on this, because she really did it!